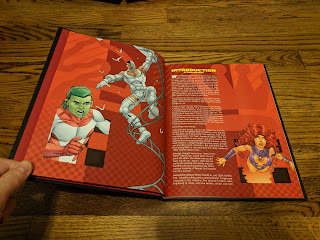 The New Teen Titans: Games - Collecting The New Teen Titans: Games (2011) Original Graphic Novel. 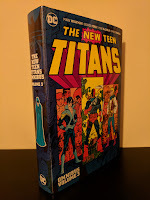 This is a book that I didn't even know existed until I read Marv Wolfman's introduction to The New Teen Titans Omnibus Vol. 3 (New Edition), when he mentioned it along with The Terror of Trigon arc as being some of George Pérez's best work in his opinion. 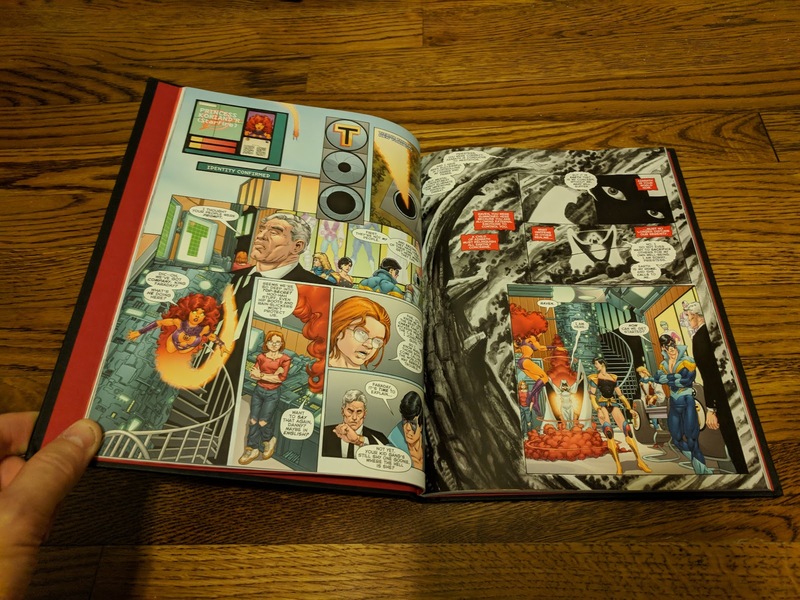 Anyone who follows this blog knows that I've been on a wicked Wolfman/Pérez kick lately, so when I was able to scoop up a copy for cheap online, I decided to see what their final New Teen Titans collaboration was all about. Games is an original graphic novel (OGN) that pits the New Teen Titans against a villain known as the Gamesmaster, a master strategist and former government consultant on war tactics. Gamesmaster has set in motion a series of explosions across New York City in order to prove to the government that fired him that even with protection from superheroes like the Titans, a carefully executed plan could still be the city's downfall. Each step in the terror attack is masterfully planned like a game of chess, with Gamesmaster always a few steps ahead of the Titans, who are trying to determine their foe's plan and combat it on the fly. Quite possibly the most interesting thing about Games is the story of how it actually came to be. Both Wolfman and Pérez do a much better job in retelling that story in their introduction and afterward respectively, but the gist is that this project began back around 1988 and was originally going to be a companion story to the ongoing New Teen Titans title. 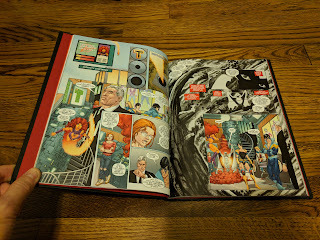 A number of things interfered with the project over the years, and when the two got back together to complete it, they had to rework the original idea into a stand alone story that was more relevant to the social climate of the present day and that would allow them to use Pérez's archived work from years earlier. In 2011, over twenty years after they first began working on Games, it finally saw completion and was released! 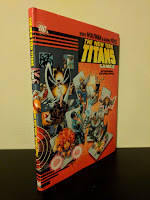 Those familiar with Wolfman/Pérez New Teen Titans should be able to pick this OGN up with little trouble as they utilize characters from across their work on the title. The team combating Gamesmaster consists of Cyborg, Beast Boy, Jericho, Nightwing, Raven, Starfire, Troia, and Danny Chase (who was new to me, but apparently makes his debut in New Teen Titans material that I have yet to read). 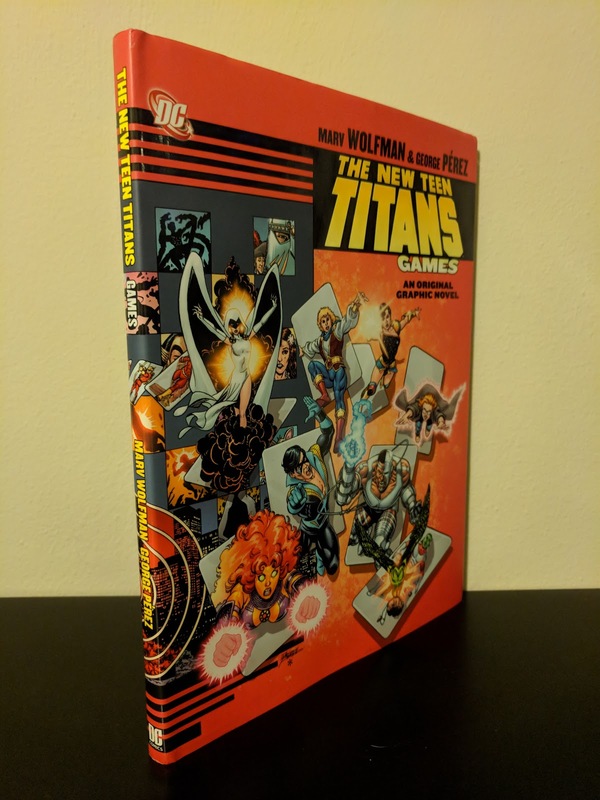 There are also cameos from other Titans not currently on the active roster, as well as a number of long time New Teen Titans supporting characters, one of whom dies tragically when one of Gamesmaster's attacks doesn't go as planned. 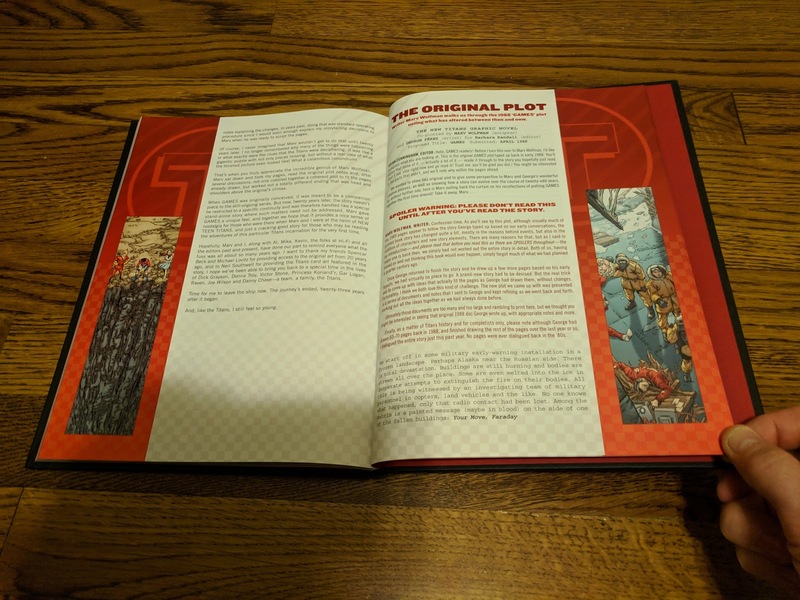 This OGN is over-sized, but does not have the standard OHC dimensions. 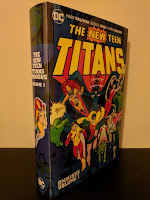 It is the same height as your typical omnibus (so it looks nice on the shelf next to the The New Teen Titans omnibi), but it is just a little bit wider. Under the dust jacket, you'll find the same flat matte black, debossed cover boards that the New Teen Titans omnibi have. Other extras include the aforementioned Wolfman introduction and Pérez afterward, and most interestingly, the story's original plot with notes from Wolfman about changes that were made over the years. I enjoyed Games, and am amazed that a story completed over a span of twenty years could turn out as coherently as it did. 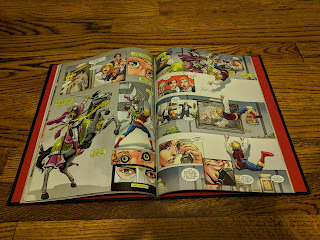 It may not be quite as good as some of Wolfman and Pérez's other work on The New Teen Titans, but it is definitely an achievement in and of itself. 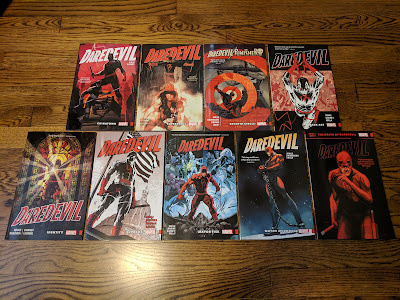 If you're a fan of their collaborations over the years, you owe it to yourself to give Games a read. 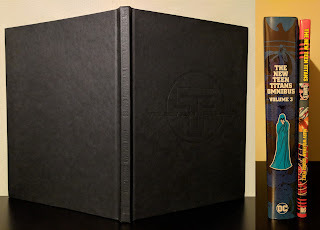 It was released in both a hardcover and a trade paperback (I found my hardcover for about half of the original cover price), so it isn't terribly difficult to find, and at 144 pages it is a fairly quick read.